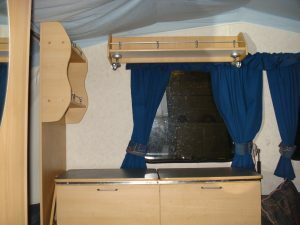 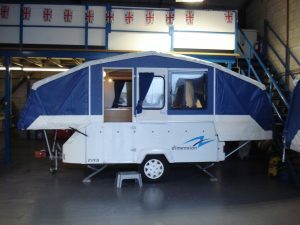 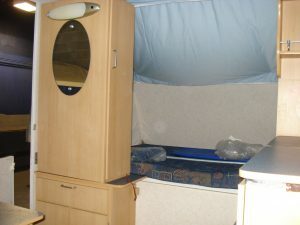 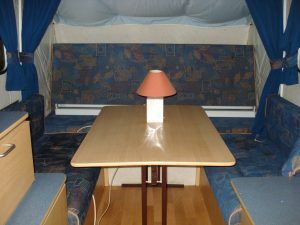 RIVA/DANDY DIMENSION IN DARK BLUE AND WHITE, THIS POPULAR SIX BERTH MODEL COMES COMPLETE WITH UNDERBED STORAGE SKIRT. 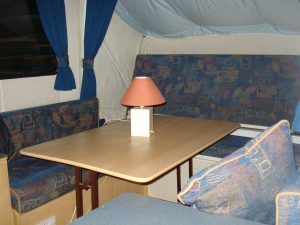 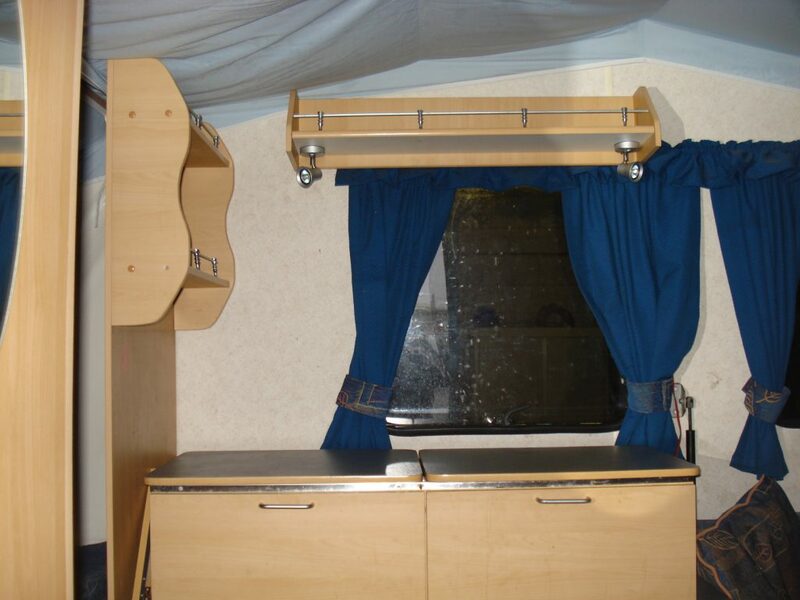 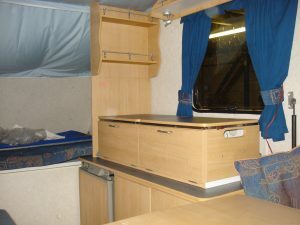 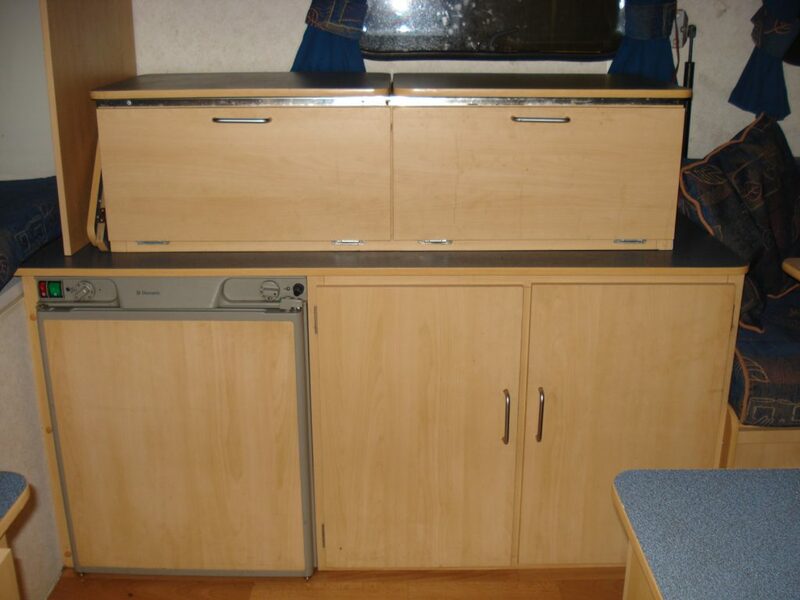 STANDARD FEATURES ON THIS MODEL ARE WINTERISED SIDE WALLS, MAINS HOOK UP, 12 VOLT SYSTEM, GAS STRUT ASSISTED BEDS AND SIDE WALLS, BUILT IN THREE WAY FRIDGE, SPLIT DOOR ALLOWING ACCESS TO THE INTERIOR OF THE CAMPER WHILST FOLDED, WARDROBE AND WATER PUMP. 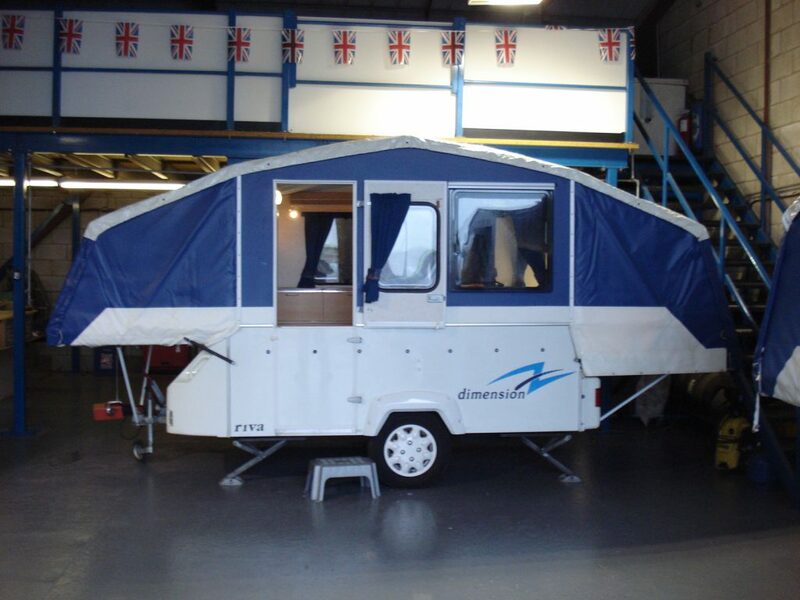 THIS COMPACT CAMPER CAN SLEEP SIX ADULTS IN COMFORT AND WITH A MAX GROSS WEIGHT OF A 1000KG CAN BE TOWED BY MOST VEHICLES.